I only discovered Midsummer about 3 years ago! Midsummer is more important than Christmas to the Scandinavian Countries who celebrate it! 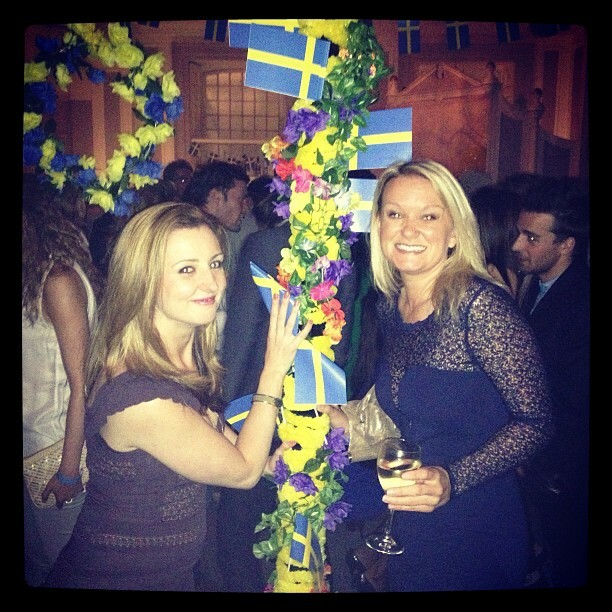 Each June Swedes and Finn's join together to celebrate the longest day of the summer by dancing around a may-pole, wearing flower crowns in their hair and having a big party! I went to a party organised by the Swedish Chamber of Commerce on Saturday at Cavendish No5. I've popped a picture of the beautiful Maypole below for you to see. 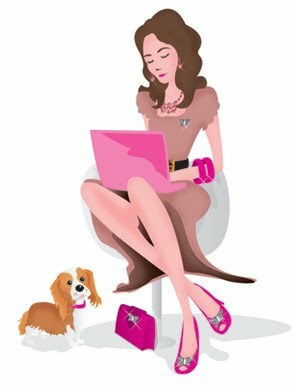 I wore a stunning pair of Venus heels with a brown dress. It was the most fun I've had for ages, the DJ was fantastic and the ladies made a real effort with their flower crowns. Everyone was in a great mood, glow-stick head-rings were handed out, Swedish coloured balloons handed round and we drank traditional Swedish cider. Have you been looking at all the hats ladies have been wearing to Ascot? Some of the hats have been amazingly brave this year! It's the one day when you photograph your top-half first and less focused on shoes! 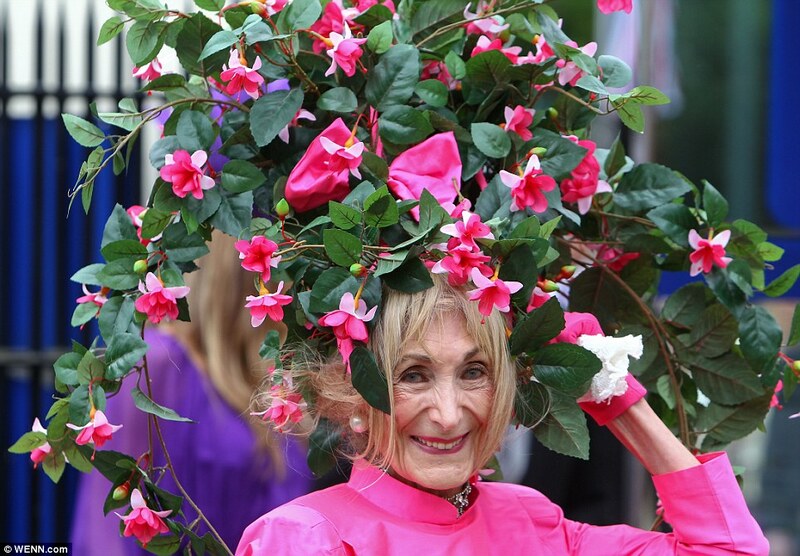 I've collected up some images of the best hats at Ascot! Katherine Jenkins looked a bit like she'd matched her dress to her skin-tone! Some new shoes have arrived into the office and they're fantastically Monochrome! Any lady who buys these will look the smartest in the office. 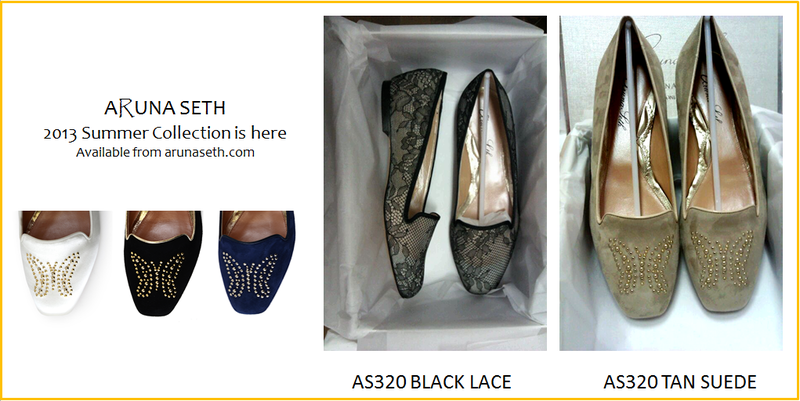 We're hoping our new Monochrome shoes will become wardrobe staples for our loyal clients who love buying our shoes. 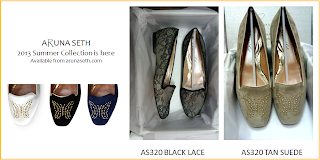 They're fab to dress up a lovely black dress or jeans with a smart jacket! Aruna Seth is a zipstar! 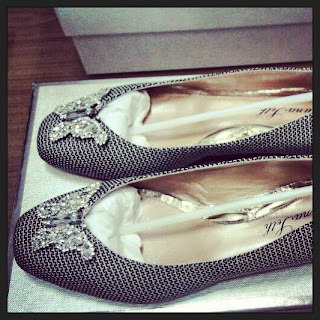 In celebration of the collaboration with zipcar we've launched a lovely 'driving' shoe especially for them. 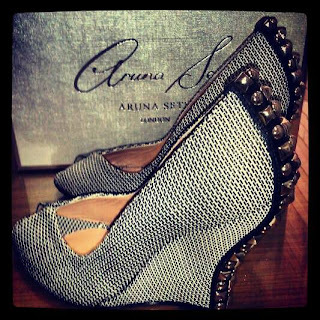 Fan's of Aruna Seth can have a go at winning our Aruna Seth driving shoe on Grazia online today. 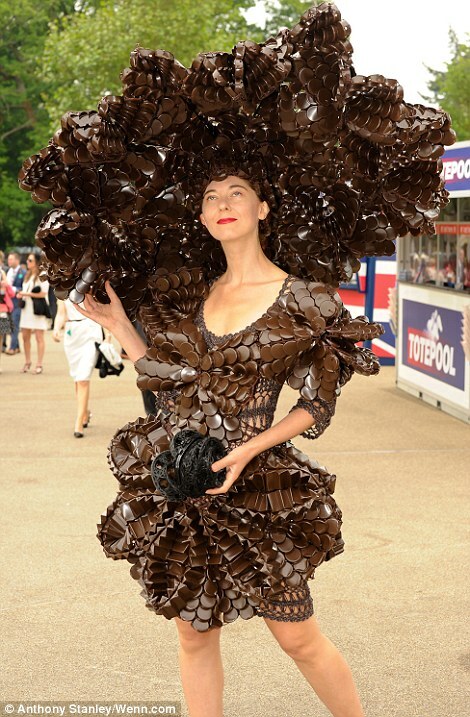 Try your luck ladies and you could be driving stylishly soon in a zipcar. Hannah Eichler from LOOK! Magazine met with Aruna Seth for a photo-shoot yesterday at her home. Aruna Seth looked stunning in a canary yellow Victoria Beckham dress matched with a pair of silver 'Venus' shoes from her latest collection. If you look below there is a sneak-peek image of the photo-shoot. Even more shoes are arriving into Aruna Seth and they're of the more comfortable variety! I'm rather excited about the variety of smoking slippers in the collection.